Explore the idyllic seaside town of Weligama, home to the highest concentration of dolphins and whales. This superb 9-day tour also showcases the rich wildlife of Yala, Sri Lanka's second largest wildlife destination, which is famous for its magnificent elephants and leopards. 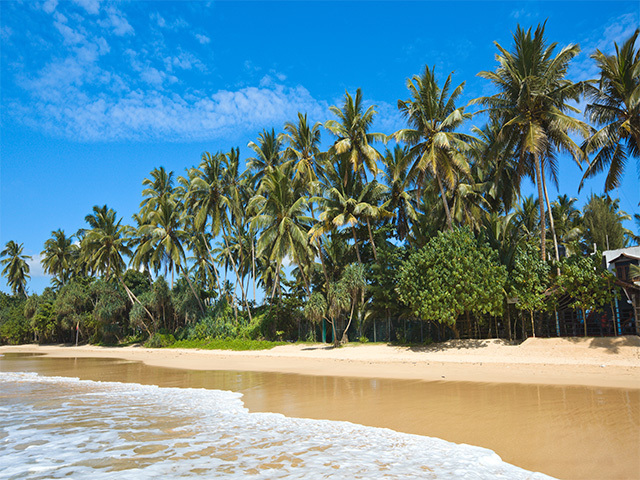 Your Sri Lankan wildlife tour starts as you arrive at Colombo and transfer to your hotel. If time permits, go on an optional tour of the city. Colombo is the largest city and the former capital of Sri Lanka. It is a modern city but still retains its old world charm due to the presence of many buildings with colonial architecture and many other ruins from the past. It has a large harbor and was an important stop in the east-west sea route trade for ancient travelers. Head towards Weligama in the morning. It is about three and a half hours drive from Colombo. Weligama is a scenic bay, situated on the south coast of Sri Lanka. It is famous for its stilt fishermen and bears the charm of an idyllic fishing village. See the Dutch built Galle Fort, a UNESCO recognized World Heritage Site, en route. Then proceed towards your scenic resort where you spend the next three nights. Spend time watching various whales and dolphins out in the sea. In the morning, depart with your naturalist to Mirissa Fishery's Harbour for your whale watching tour at Weligama. Board a comfortable boat to commence your journey into the sea. The highlight of the day will be sighting blue whales and spinner dolphins. As you head deeper into the waters in search of whales, look out for pods of spinner dolphins which can sometime number in the hundreds. The large concentration of blue whales found here is quite astounding. During the migration, blue whales are seen relatively close to shore as the continental shelf is narrow to the South of Dondra. In the afternoon, you can relax on the beach. Return to your resort in the evening. Leave Weligama and travel to Yala National Park, about three and a half hours away by road. Yala National Park, located in the southeast region, is the second largest park in Sri Lanka. It is famous for its population of Sri Lankan elephants as well as its aquatic birds. 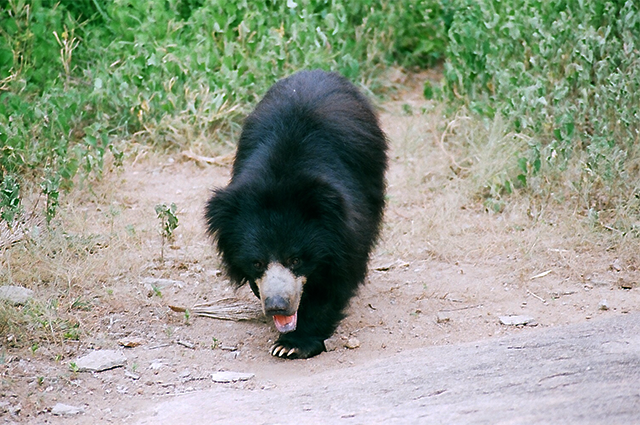 The most commonly seen mammals here are leopards and the sloth bears. In the afternoon, go on a safari in Yala National Park and try to spot various wildlife. According to some sources, Yala Block 1 has one of the highest densities of leopards in the world. Yala therefore offers one of the best chances in Asia to see leopards. Other large animals you may see include mugger crocodile, spotted deer, sambar, barking deer, wild boars, wild buffaloes, jackals, grey langurs, and mongooses. 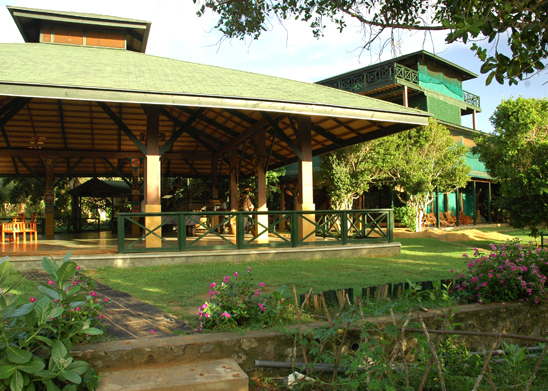 Yala is also a great place for bird watching. There are about 300 species of birds residing here. Birding highlights include the Malabar pied hornbill, painted stork, lesser adjutant, and black-necked stork. The next two days, are also spent going on various game safaris in the morning as well as in the afternoons. Today, early in the morning, go on a nature trail along with a guide and see some birds around the hotel. There is also an opportunity to go on an optional morning game drive for one last time. After lunch, drive for about six hours to reach Negombo, near Colombo. Check into your hotel in the evening and rest for the night. The trip comes to an end this morning after breakfast. Transfer to the airport for your flight home.